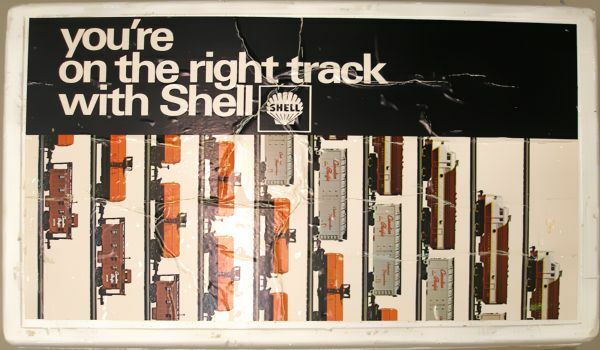 Shell Chemicals Canada used a "build a train set" scheme to promote Shell chemicals to Canadian industries, just as RCA had done. 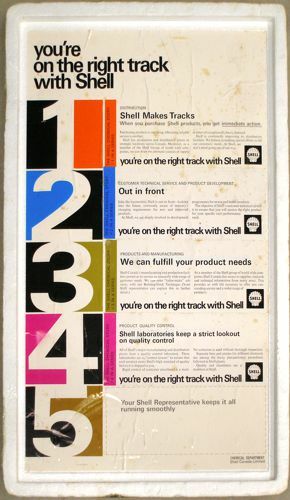 Each month a Shell sales rep would visit an industry executive and leave behind part of a set, along with a sticker for the inside of the box lid so recipients could keep track of their progress. 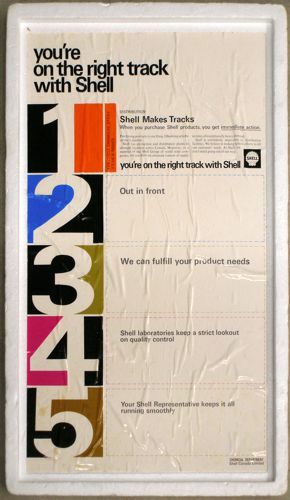 The stickers also featured promotional propaganda about Shell's fantastic products. 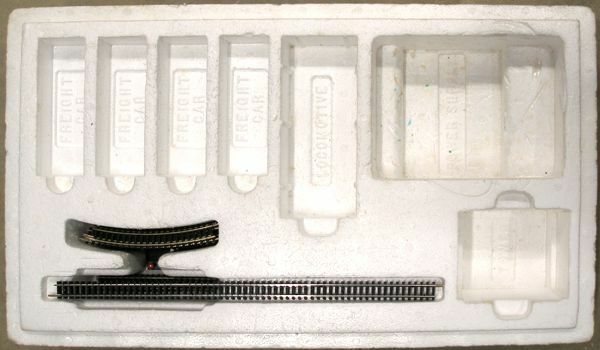 The train sets featured a Canadian Pacific F9A, a random freight car (such as a Missouri Pacific stock car, or a very rare Canadian Pacific refrigerator car), two Shell tank cars in an unusual scheme, and a Canadian Pacific caboose. 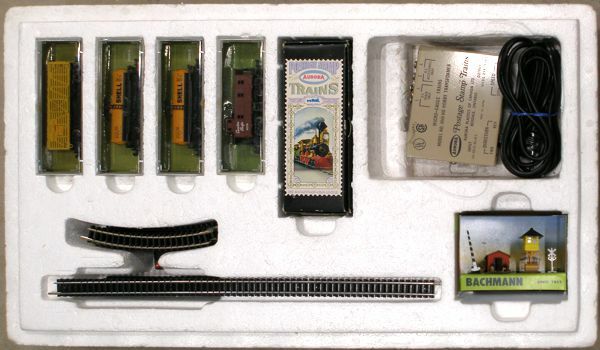 In addition to a Canadian power pack and an unusual assortment of track (with 12" straight sections instead of 4"), the set also included a Bachmann crossing shanty and gates. Shell obviously invest a fair bit of money in this promotion, judging by the custom packaging and labeling alone. 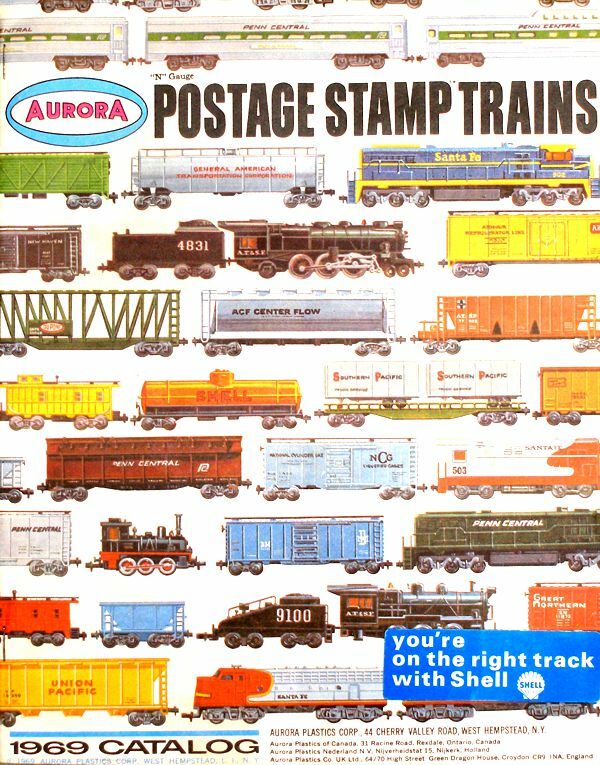 And, as a finishing touch, a copy of Aurora's 1969 Catalog was included, with stickers reminding them where the sets came from, just in case they wanted to buy more goodies. Photos and information courtesy of Bob Williams.